If you are like me, a person who's always on the go and in a hurry because of busy schedule and heavy works, our go-to refresher is a nice cold drink or a cup of energizing coffee in the morning. We always want instant as much as possible specially when it comes to drinks (I used to squeeze fresh lemons and oranges to make a glass of refreshing drink) sadly I can't do it because of the above mentioned reasons. However, I am always eyeing for a healthy and tasty alternative drinks of course, I won't settle for unhealthy instant juices like the ones in pouch and bottles. 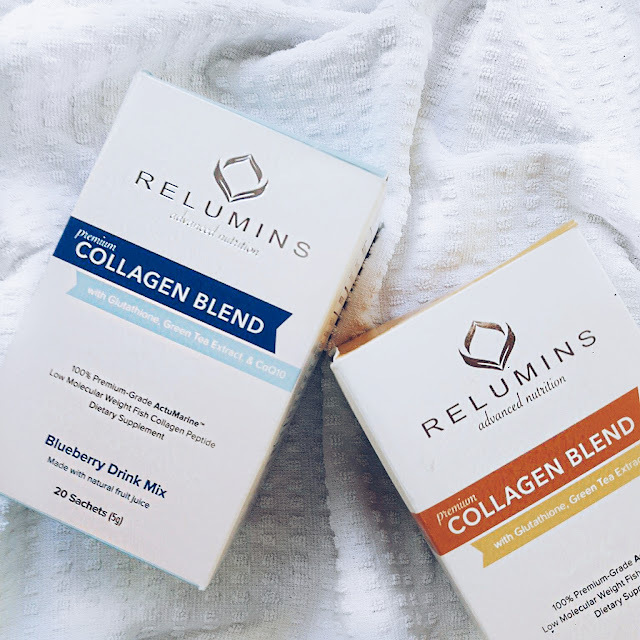 Great thing there's Relumins Premium Collagen Blend. The Most Advanced "FDA Approved" Collagen Supplement in Blueberry and Pineapple flavor. This is one of the ultimate skin care products in the market. It contains 100% Premium-Grade ActuMarine Collagen, a low molecular weight fish collagen peptide that was developed in Japan. 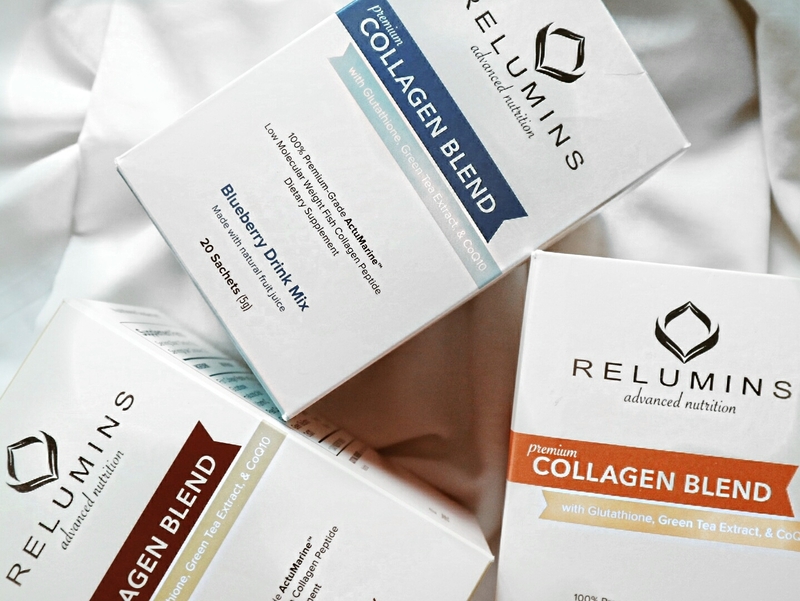 It is now being recognized as the gold standard in collagen because it is tasteless, odorless and highly absorb-able. Convenient and Delicious. They mix collagen with natural fruit juice to create a delicious Pineapple and Blueberry flavor drinks. This premium grade collagen is tasteless and odorless so you don't have the bad taste that comes with other collagen drinks. Just pour a sachet into a glass of water and enjoy. This ultra pure, premium peptide will rush straight to your skin and joints, keeping them young, healthy, and strong. I have been taking this Collagen since last week and I am enjoying it. I personally like the Pineapple flavor. I started taking it after finishing my Meiji Collagen milk. Both reviews are coming up in the next weeks.